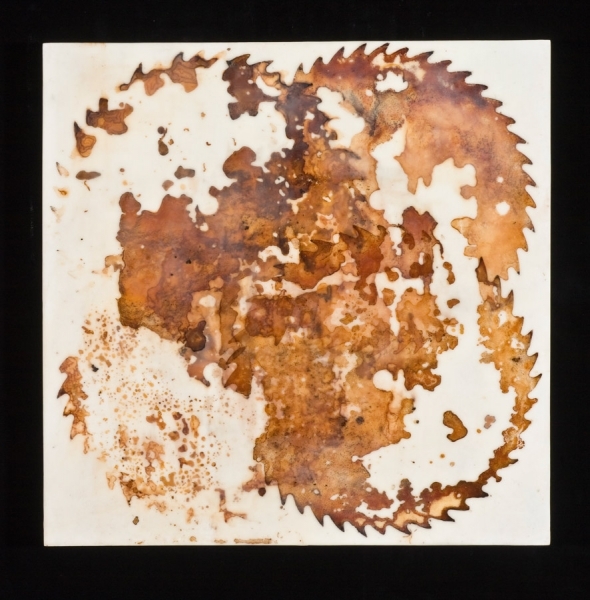 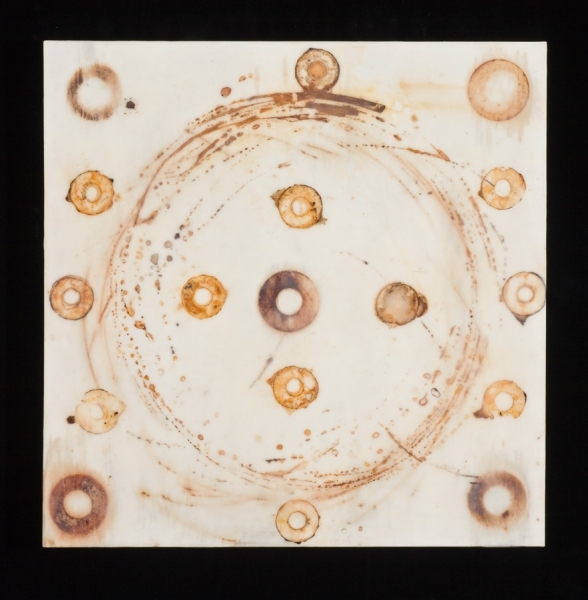 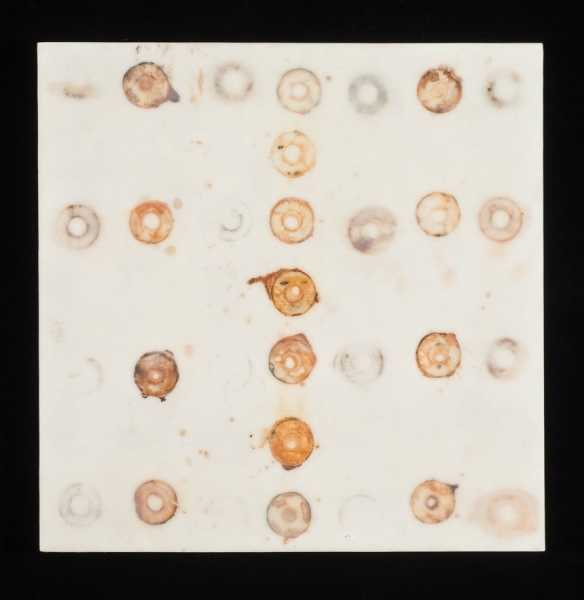 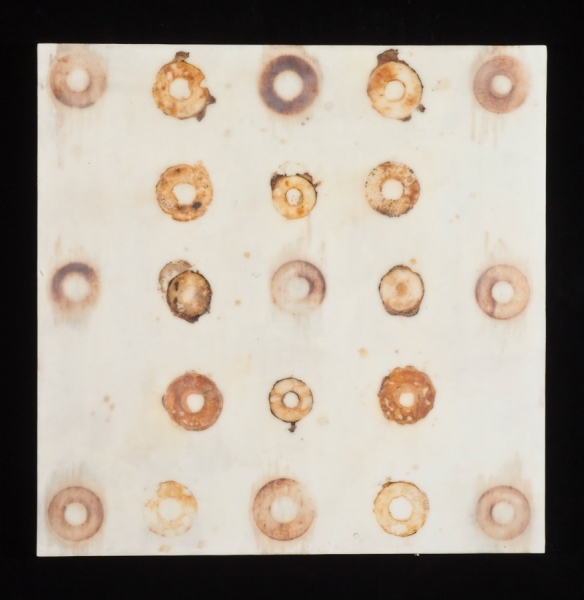 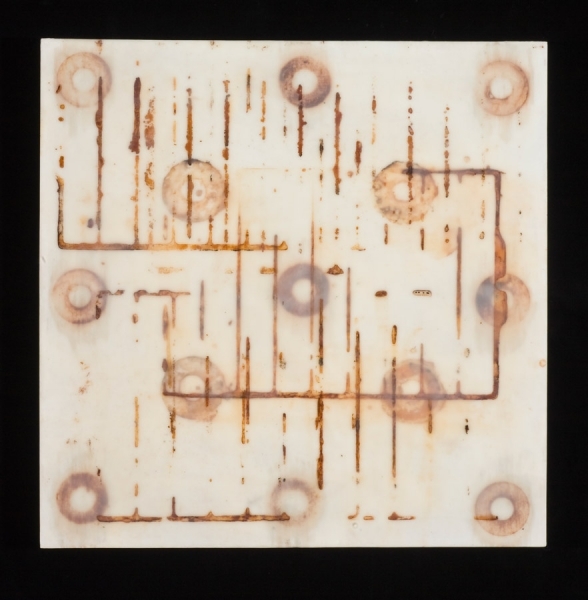 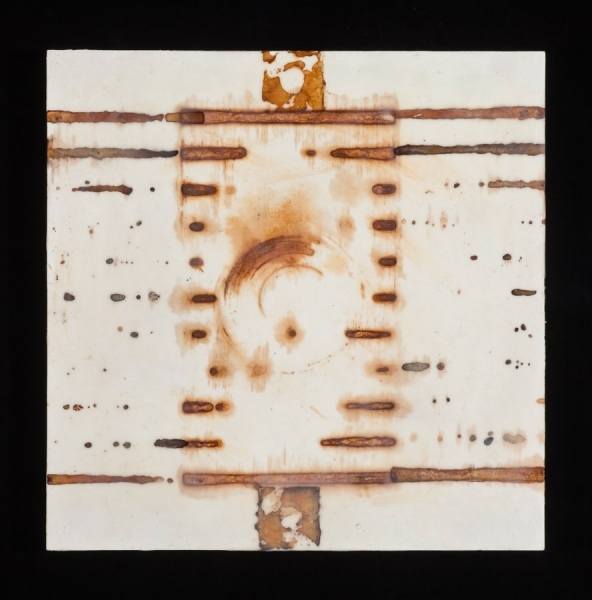 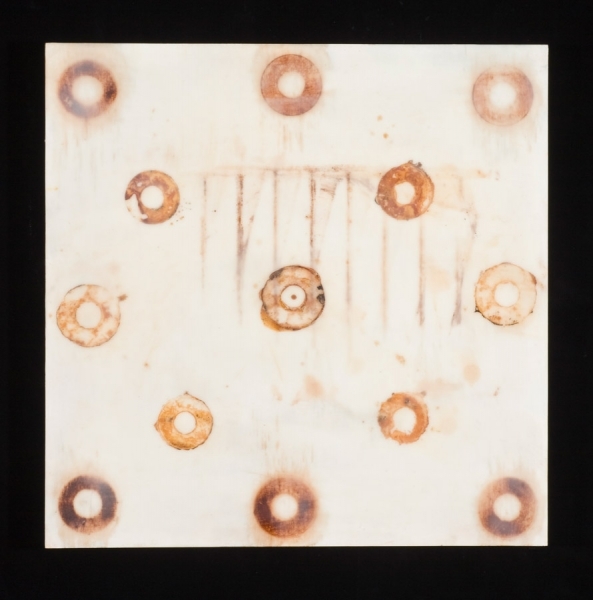 Rust is compatible with paper and encaustic. 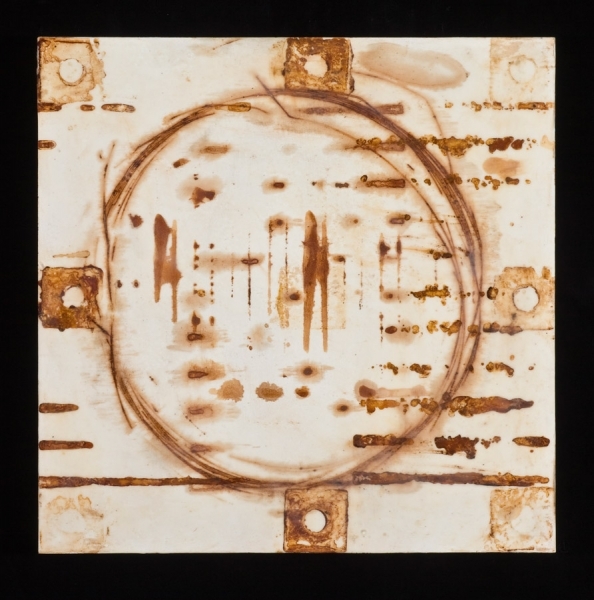 Impressions from rusty objects inform these patterned works. 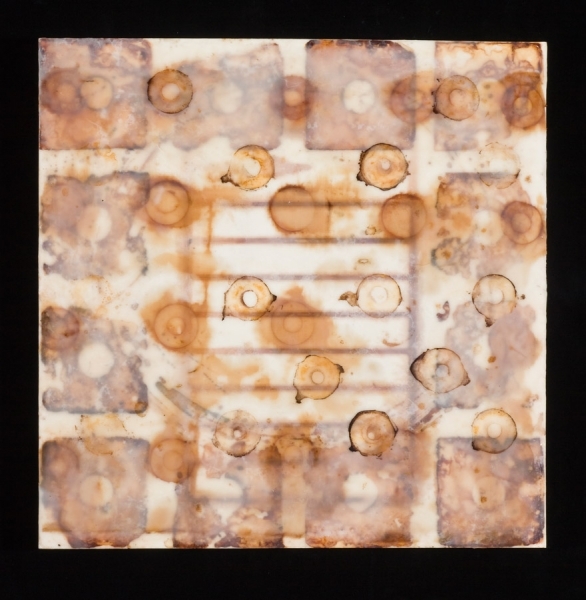 Working with rust is unparalleled for its unpredictability and gorgeous color.